We know you like stilettos, but you've never seen one this nice. 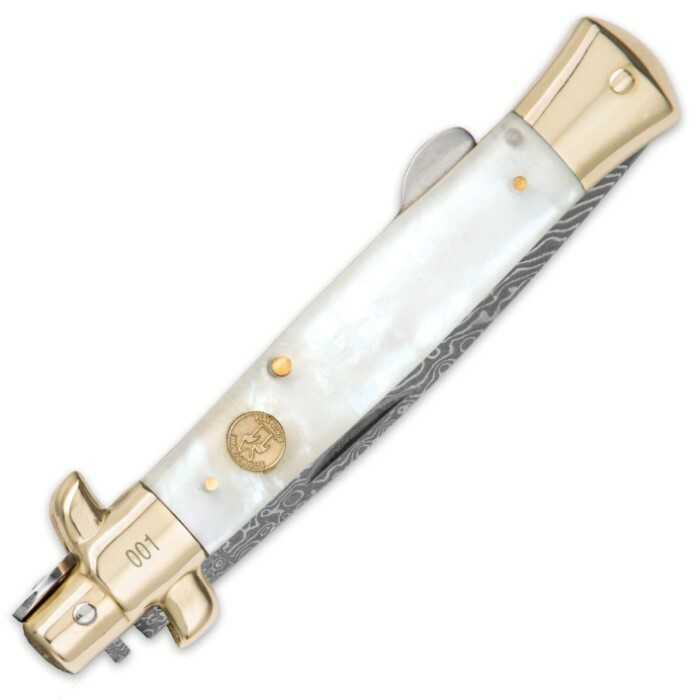 Our Kissing Crane Genuine Pearl Stiletto features a classy white handle, brass-plated pins and bolsters and the classic Kissing Crane cast shield. 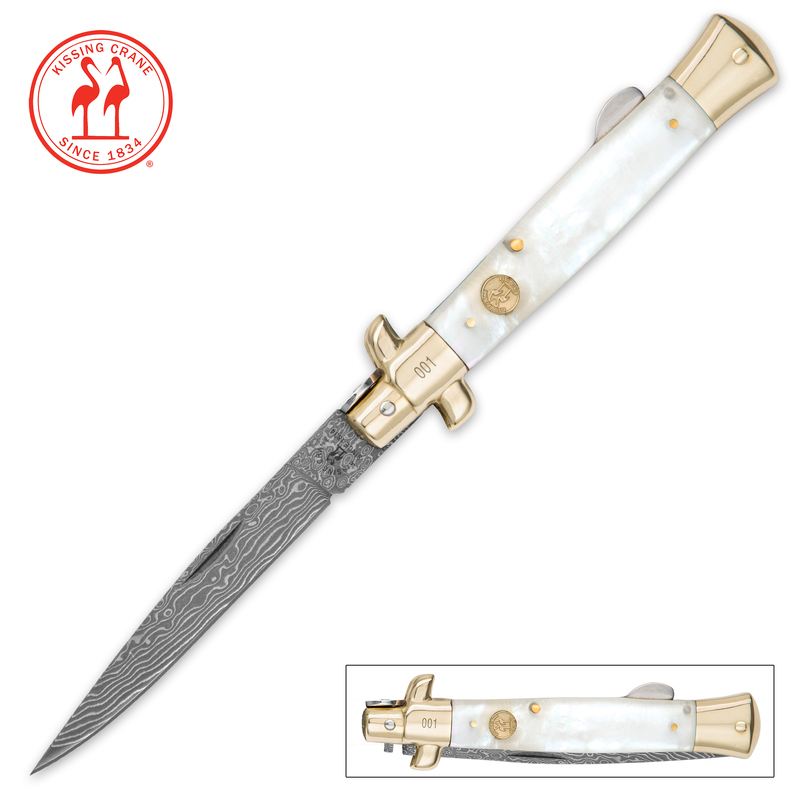 The elegant Damascus steel blade complements the beautiful, iridescent pearl handle perfectly. We know you have someone in mind to give this attractive stiletto to!